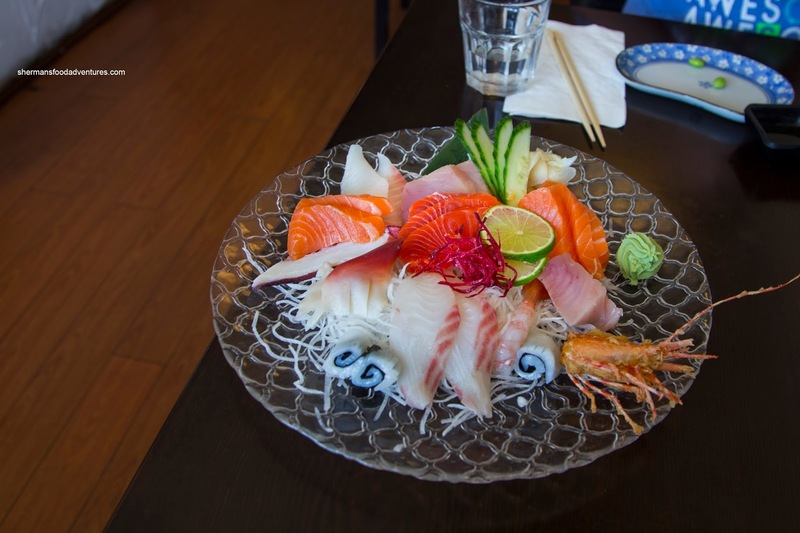 With all of the small Japanese restaurants around, it is often difficult to find one that is actually decent. 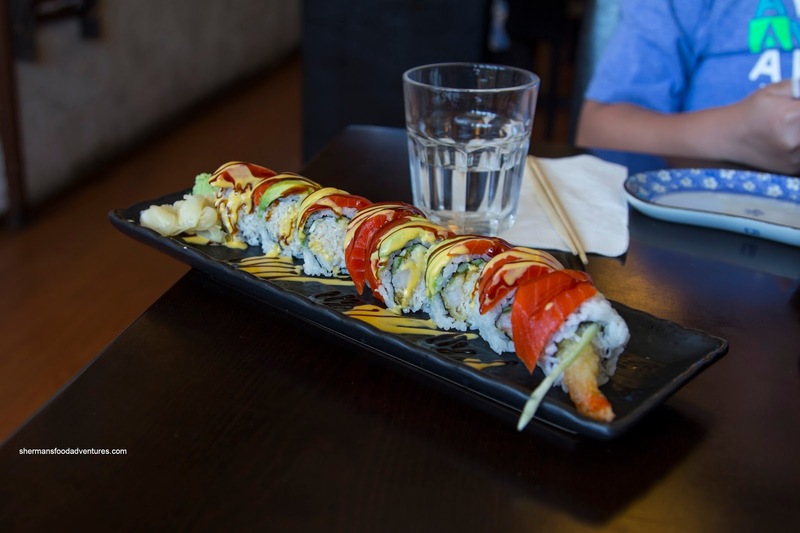 We have to understand that not everyone has high expectations for Japanese food and many of these spots survive purely on bento boxes and California rolls. To illustrate this, just think Panda Express or Manchu Wok. Now, I'm not dumping on these places because as much as I like to enjoy well-made food, there are times I'm not too picky and something serviceable will do me just fine. 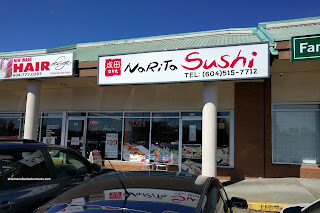 So with that in mind, we visited Narita Sushi (tucked away in a strip mall on Lougheed Hwy) without any expectations. For a little unassuming spot, it was pretty busy during lunch where we snagged the last table available. Upon reviewing the menu, it was without any hesitation that I ordered the Seared Salmon Oshi (always want to compare with Miku). Well, this one looked similar, but ate very differently. First of all, the rice was a touch dry while the mayo dressing had a strong mayonnaise flavour. I found the slice of jalapeno on top much too thick which was not pleasing texturally nor flavour-wise. 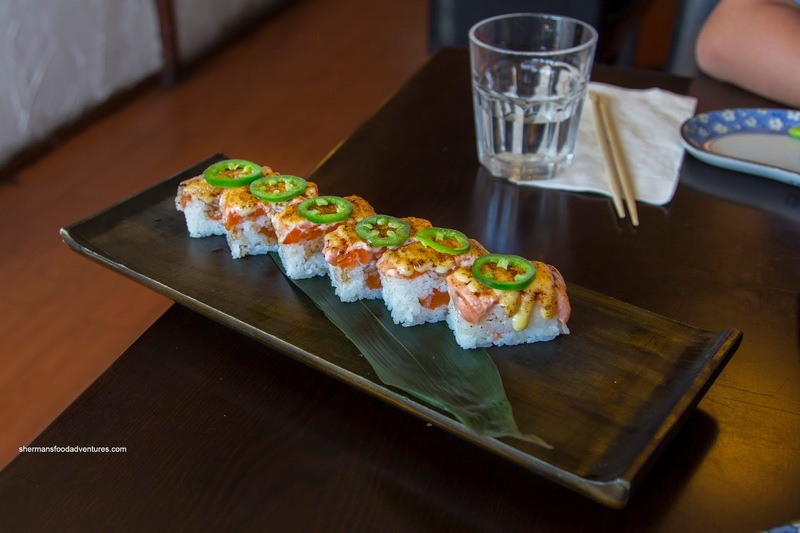 We also got the Washington Roll which also featured dry rice. However, we enjoyed the texturally on-point salmon on top. They were also conservative with the drizzle of sauce. Moving onto the Deluxe Assorted Sashimi, it looked pretty appealing and well-prepared. Looks weren't deceiving as the fish was on point texturally except for the overly chewy Tai. The sockeye salmon was fairly sweet just like in the Washington roll. Even the Atlantic salmon was decent being buttery and not devoid of flavour. Although some slices were a bit larger than others, we liked how they didn't make them too big (better texturally). 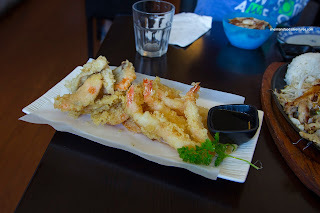 Consisting of ebi, fish and veggies, the Deluxe Tempura featured crispy batter that was not too greasy. We found the ebi buttery with a light snap while the fish was decently moist. 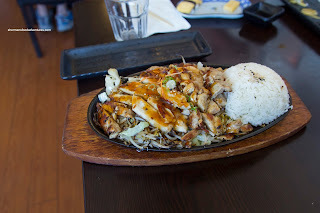 For the kiddies, it was all about the Chicken Teriyaki served atop sprouts and cabbage on a sizzling hot plate. The chicken was appealing to look at with a well-charred exterior. It was a bit dry in some spots, but not overly so. There was only a modest amount of teriyaki sauce which meant it wasn't too salty nor sweet. This was decent and in fact, most of the other dishes could be considered good. 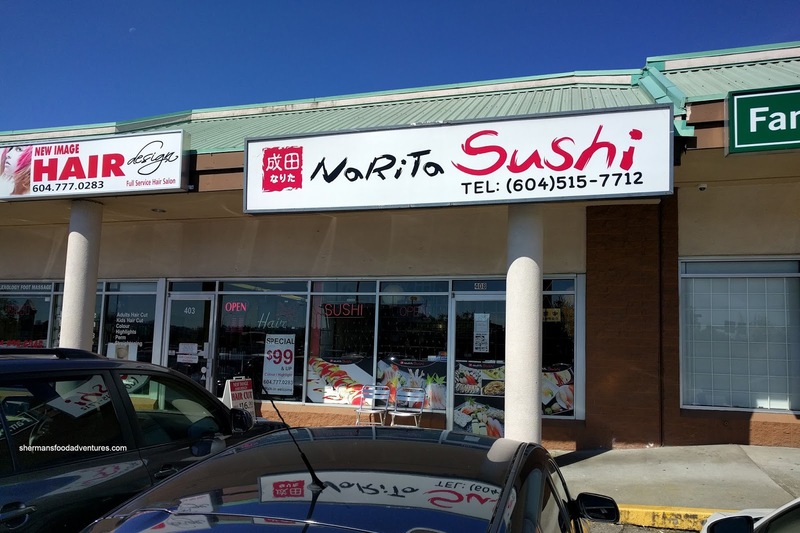 Sure, the sushi rice could've been better, but for a small little random spot, Narita is more than serviceable.